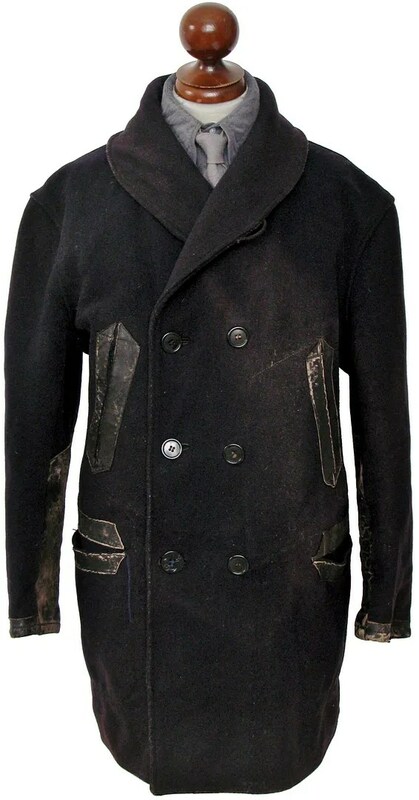 This vintage coat is a 1930s railroad mackinaw. 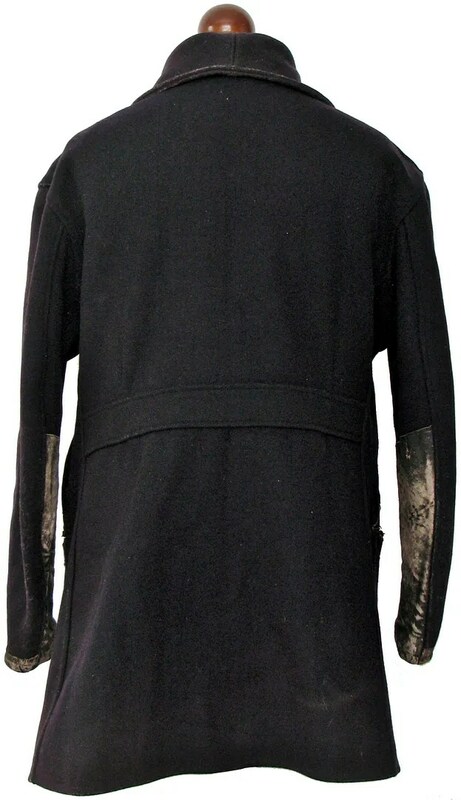 It is double breasted, with a shawl collar, belted back, handwarmer pockets and cargo pockets. 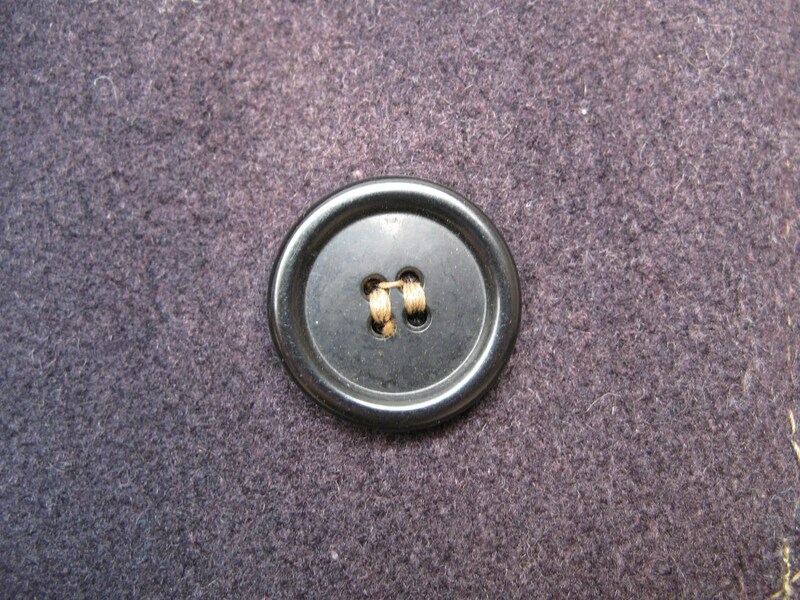 Because this is a workwear coat, subject to abuse, this style had additional leather reinforcement at the pockets, sleeve bottom and cuffs. 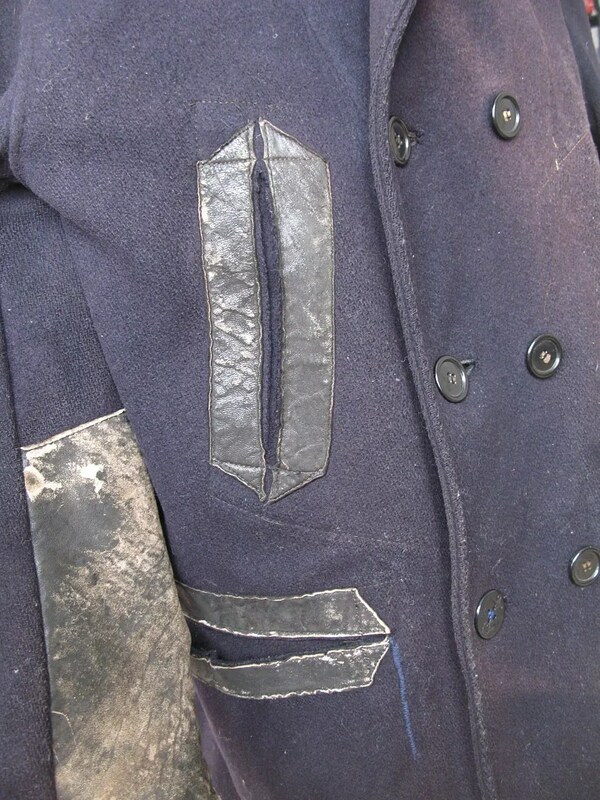 As was typical of these early production mackinaw coats, this one is unlined, with taped seams. While the shawl collar mackinaw style goes back to the 1910s, the leather reinforced railroad version didn’t gain popularity until the 1920s. 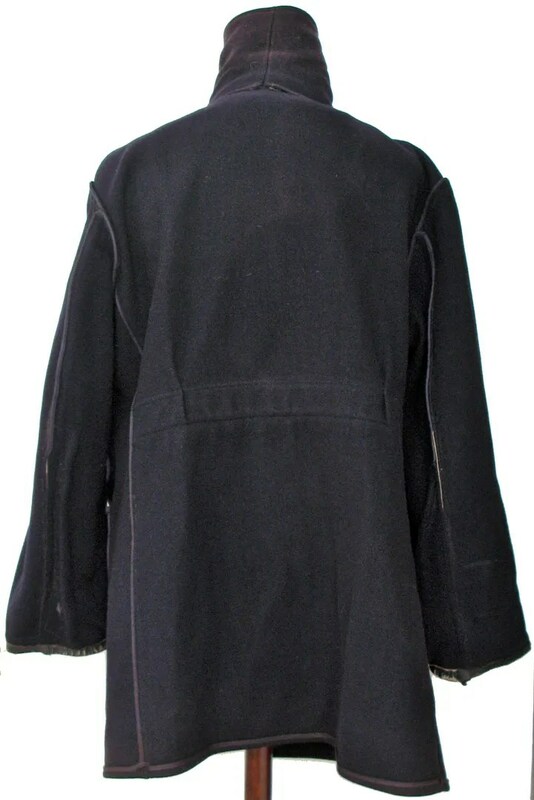 By the early 1940s, production was waning, though old coats of this style continued to be be worn for years, a testament to their durability and warmth. 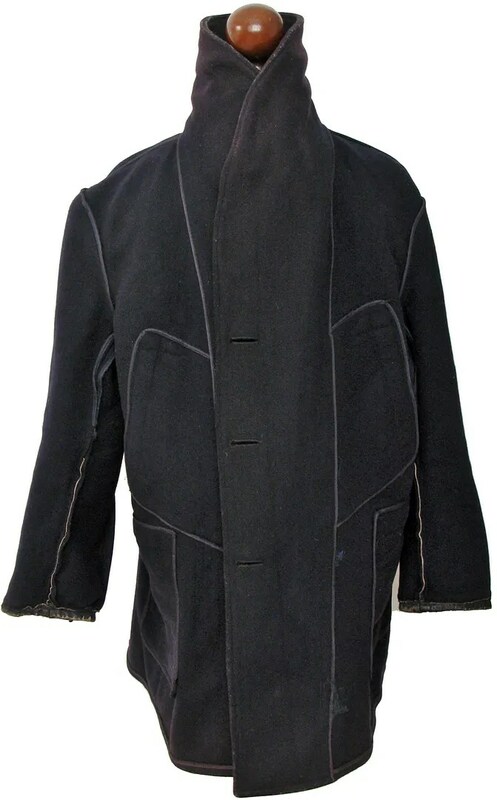 This entry was posted in Coats, workwear and tagged 1920s, 1930s, 1940s, belt back, belted, coat, double breasted, Duluth, halfbelt, leather, Lon Chaney, mackinaw, mens, overcoat, Patrick, rail, railroad, reinforced, shawl collar, Thunder, vintage, wool, work coat, workwear by Spencer Stewart. Bookmark the permalink. Hey Stuart – any chance you would consider a trade of the railroad Mackinac for a handmade cap? ?